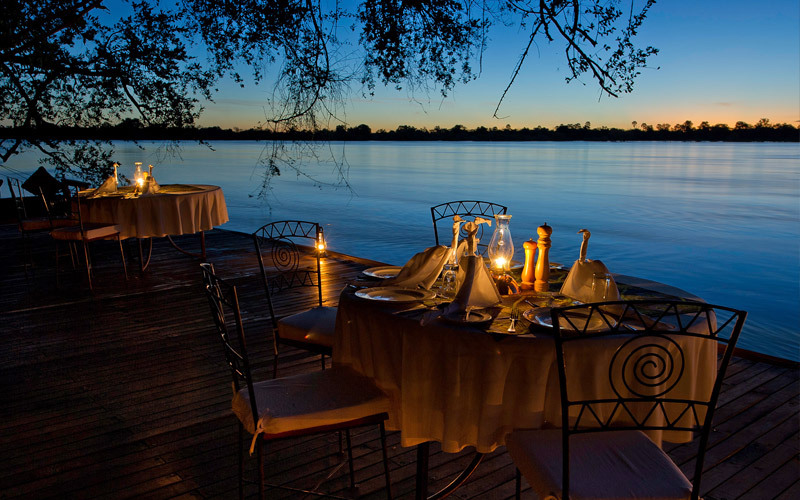 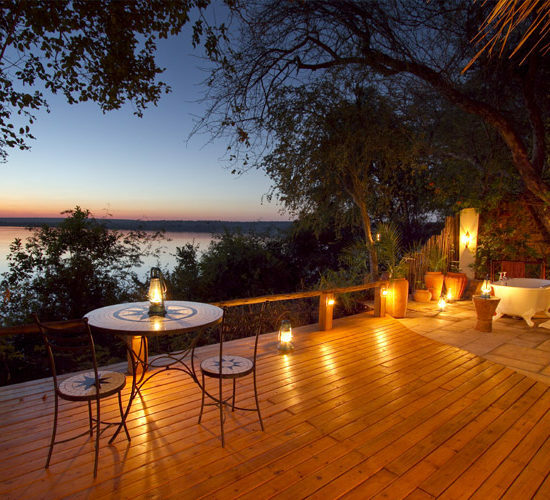 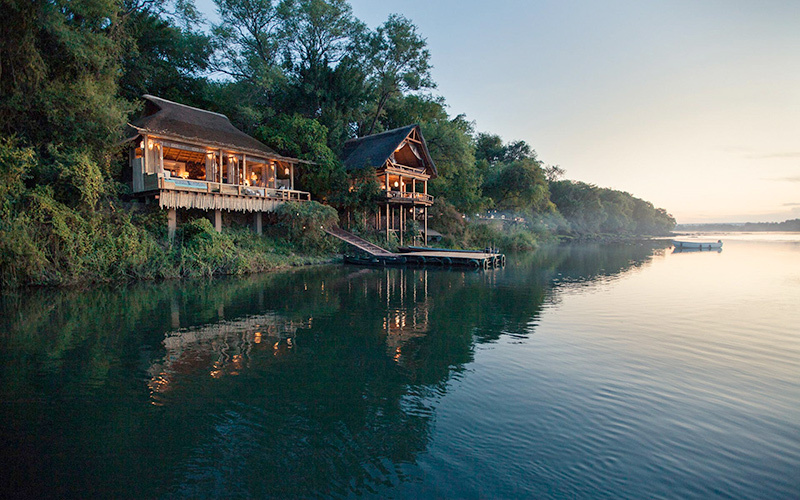 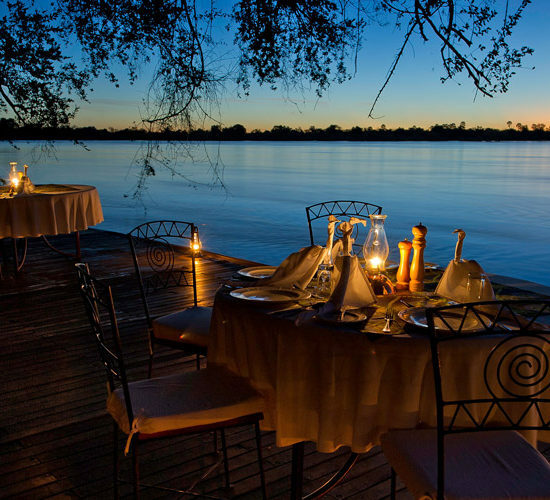 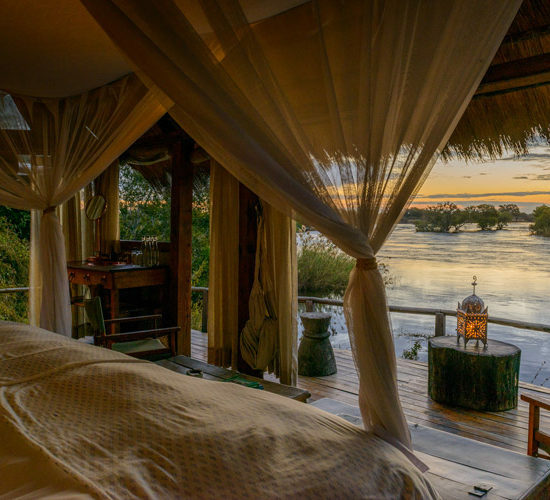 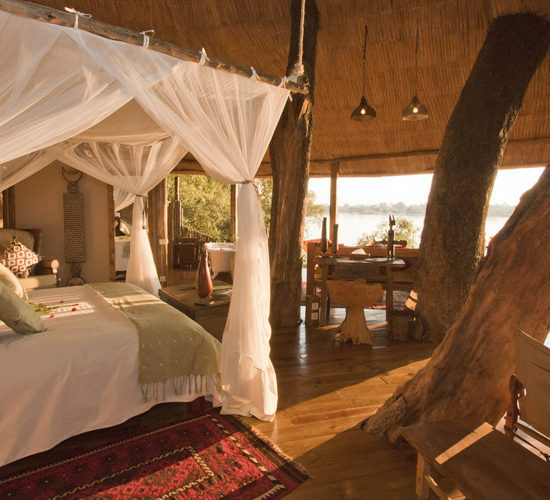 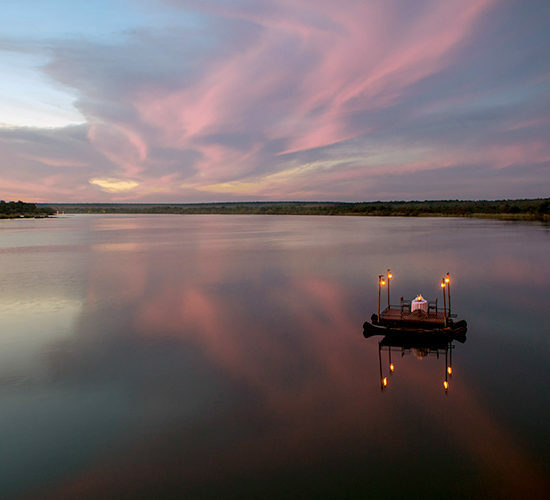 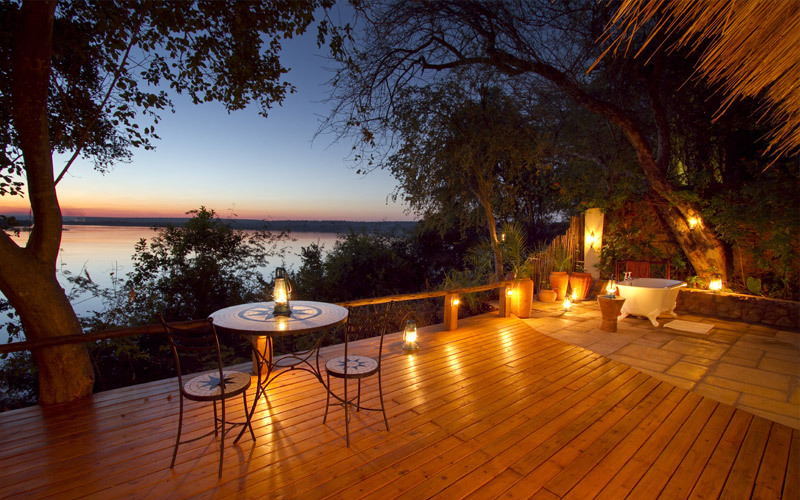 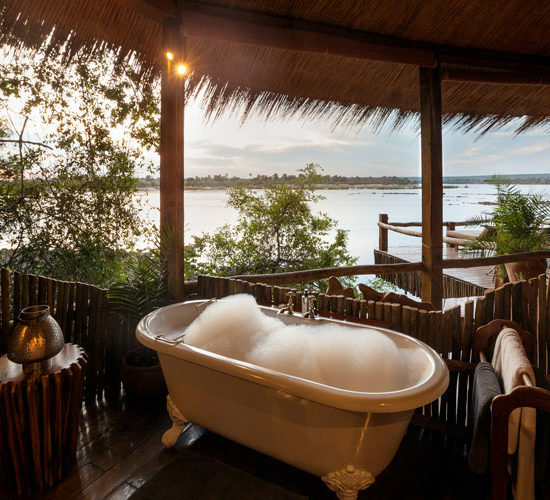 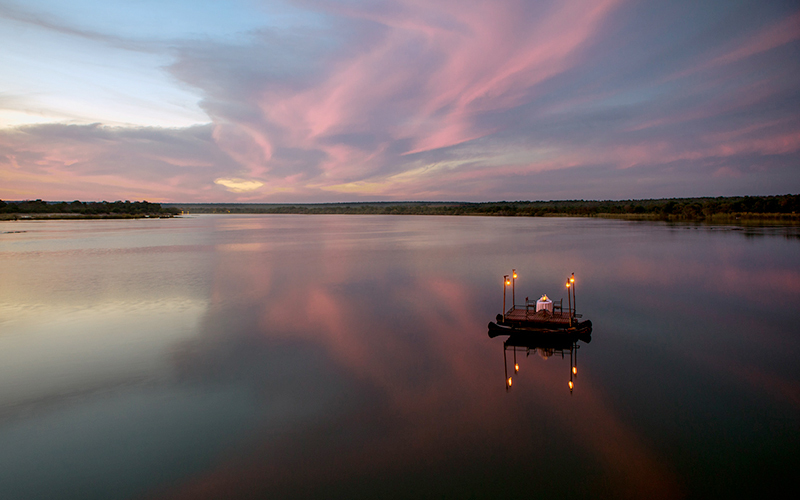 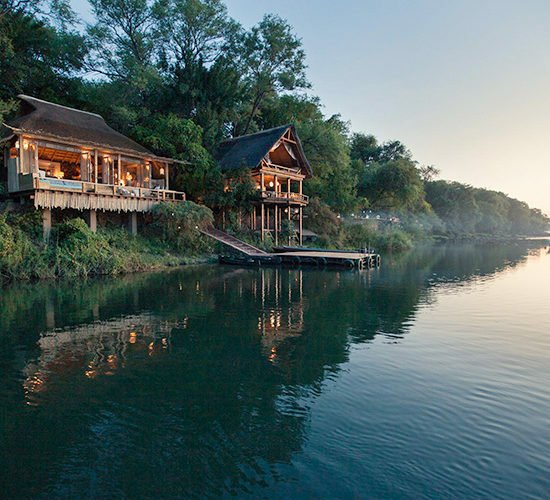 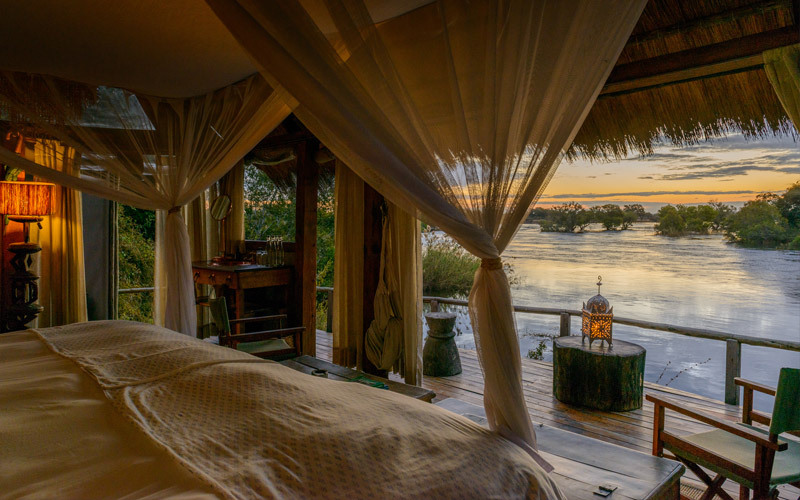 Tongabezi is a romantic lodge, beautifully positioned on the banks of the Zambezi River upstream from the Victoria Falls. 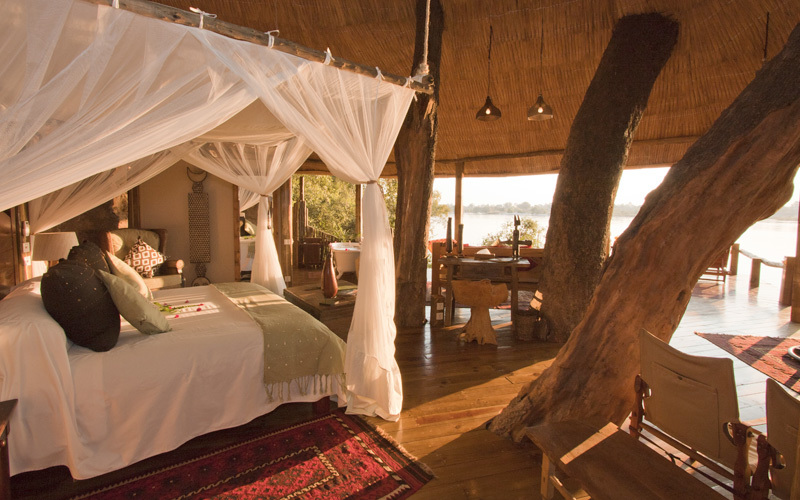 Personal valets & attention to detail complete an African idyll, with the emphasis on style, service & atmosphere. 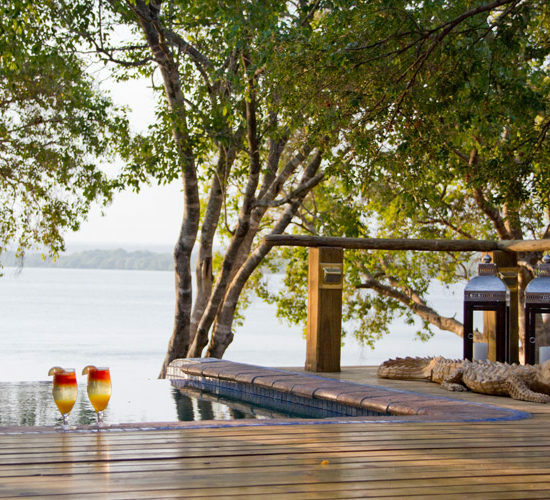 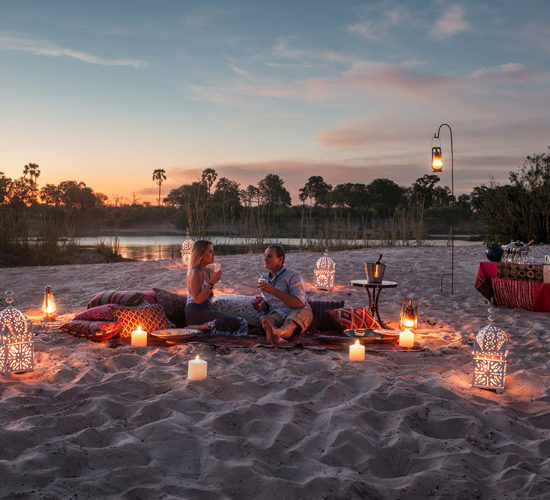 Tongabezi combines an exclusive ambience with the warmth & hospitality of the Zambian people offering something for everyone from honeymoons to families & special celebrations. 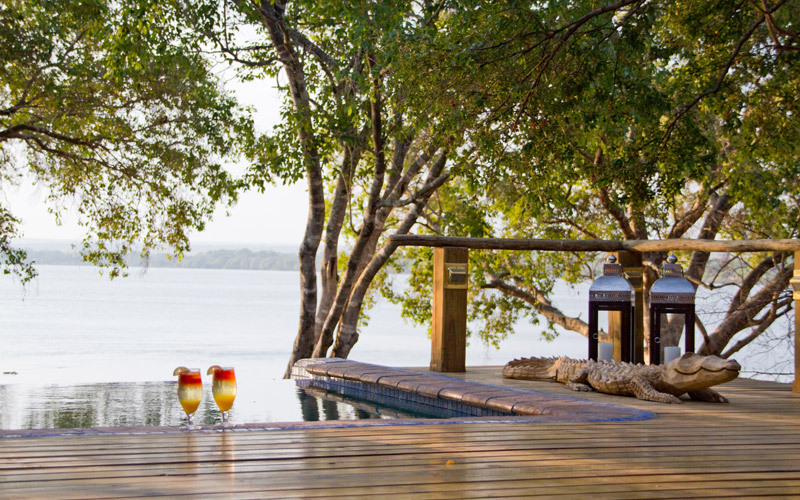 Sindabezi Island is unique – the discerning traveler’s best kept secret. 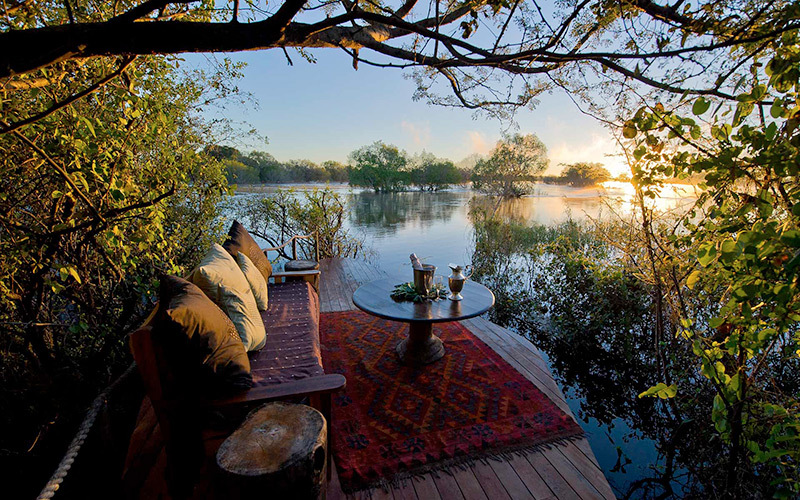 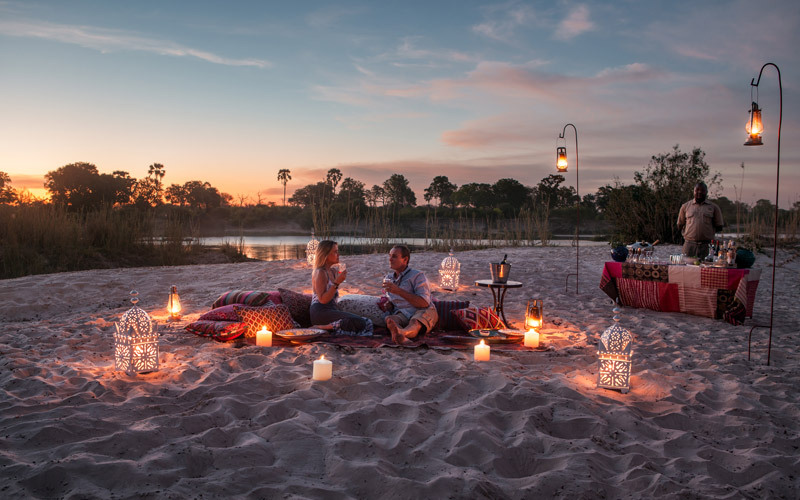 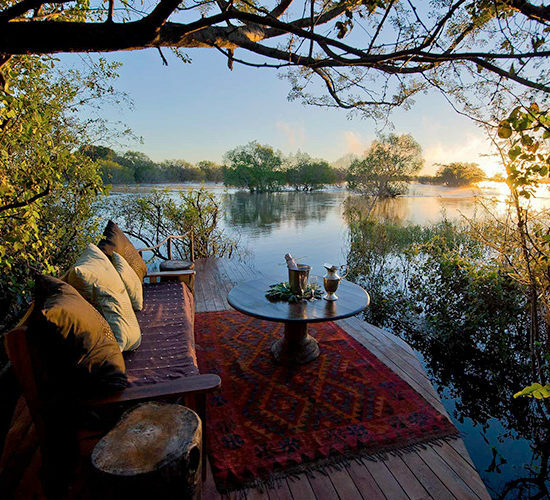 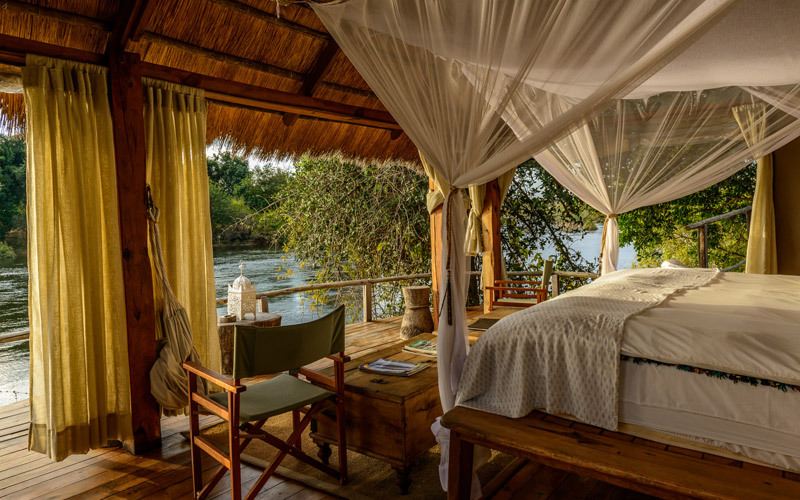 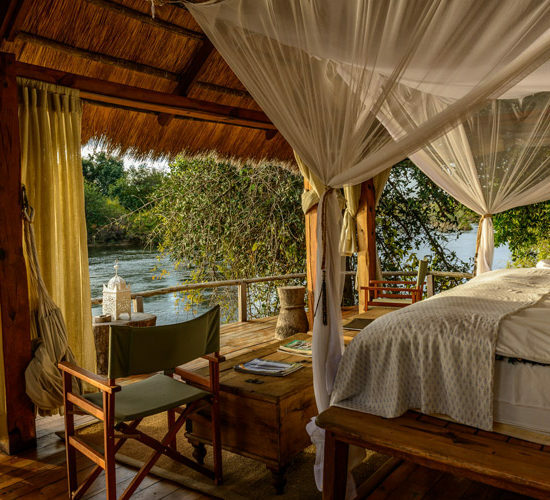 An idyllic, exclusive camp on our very own private isle on the Zambezi River it is the only luxury bush camp from where Victoria Falls can comfortably be explored. . 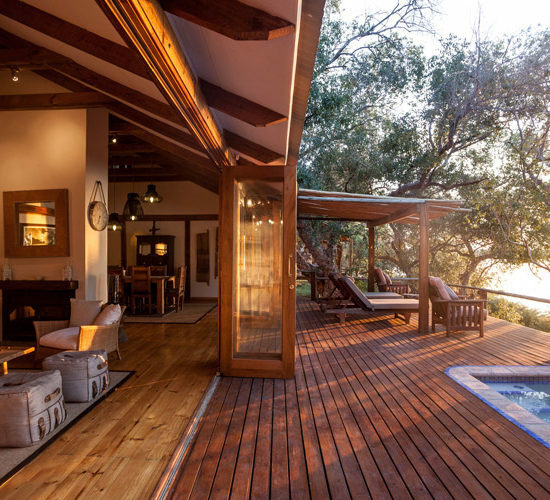 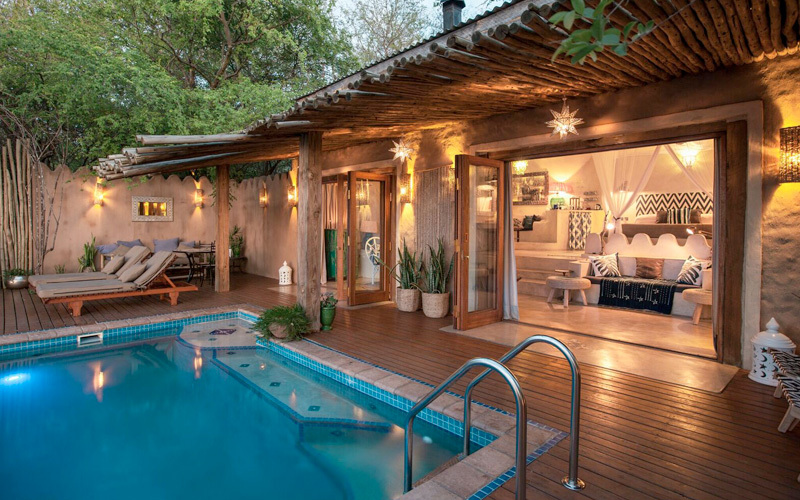 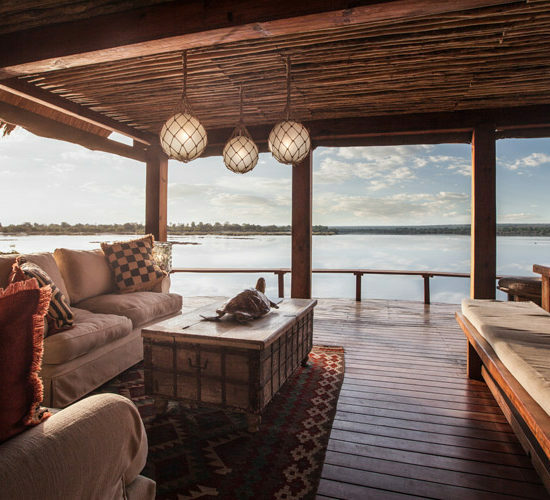 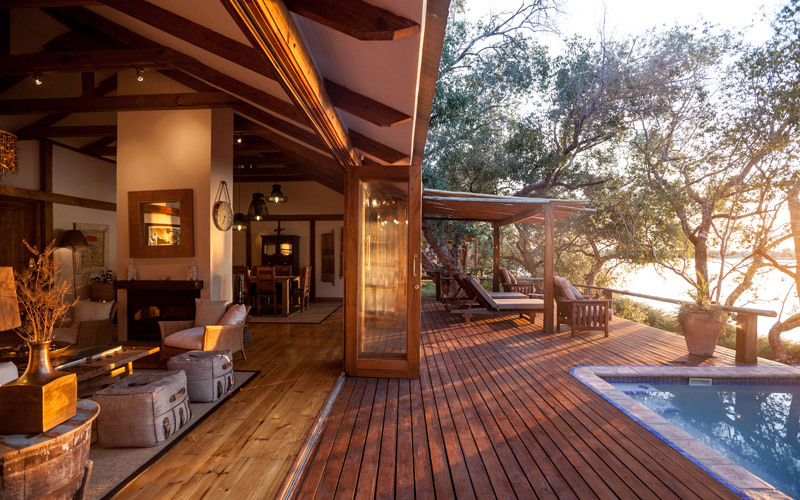 Ideal for a family safari, Tangala House is a luxurious family home on the banks of the Zambezi, 15km upstream of the Victoria Falls. 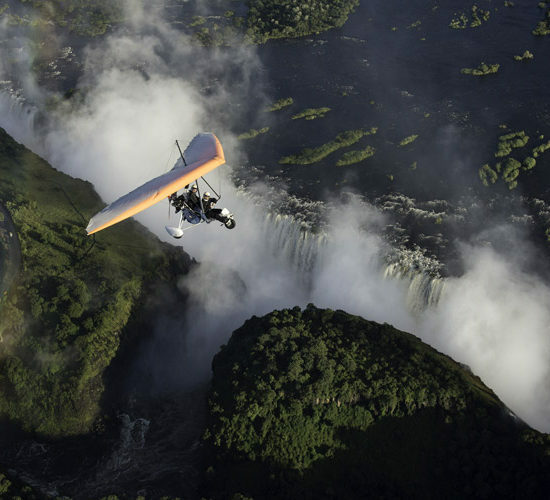 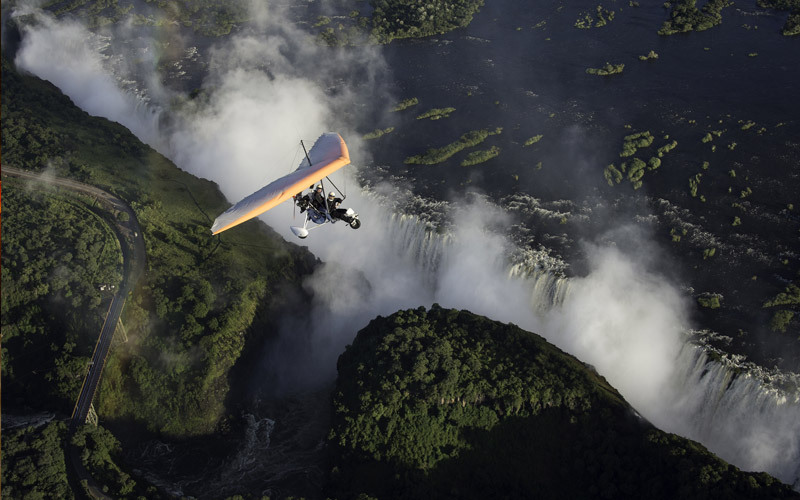 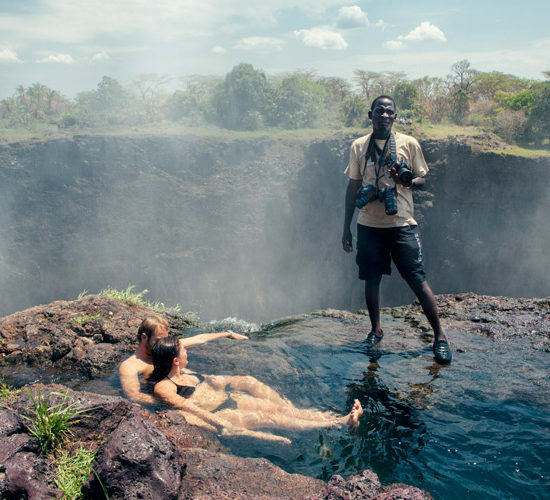 Livingstone Island is the ultimate way to view the Victoria Falls and no visit to the area would be complete without this exhilarating experience. 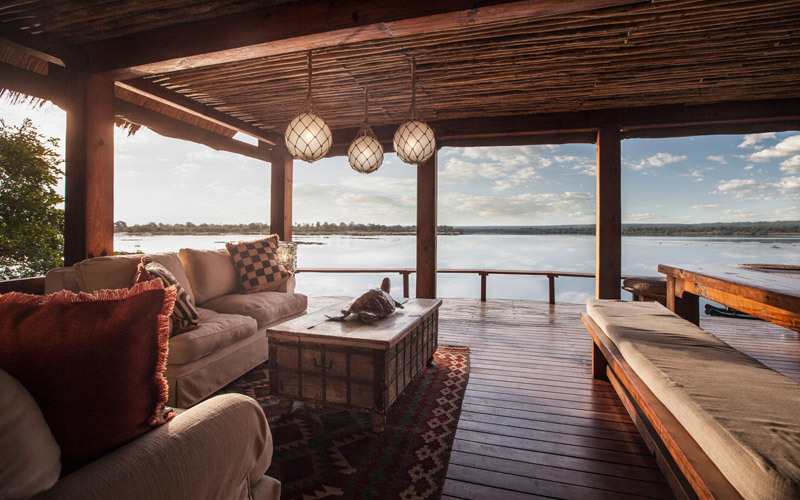 Ideal for a family safari, Tangala House is a luxurious family home on the banks of the Zambezi, 15km upstream of the Victoria Falls. 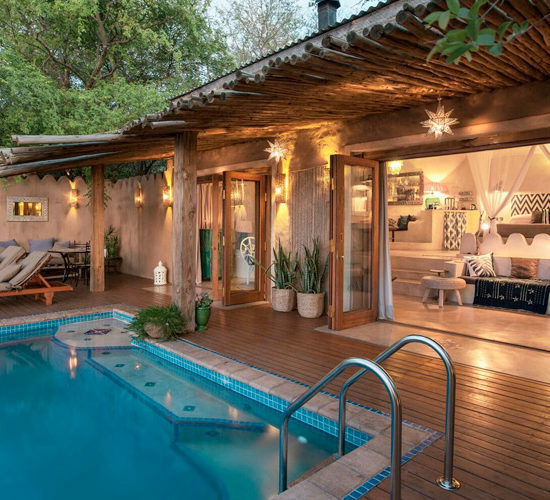 Stylishly designed & furnished, it sleeps eight & has featured in House & Garden magazine in the UK. 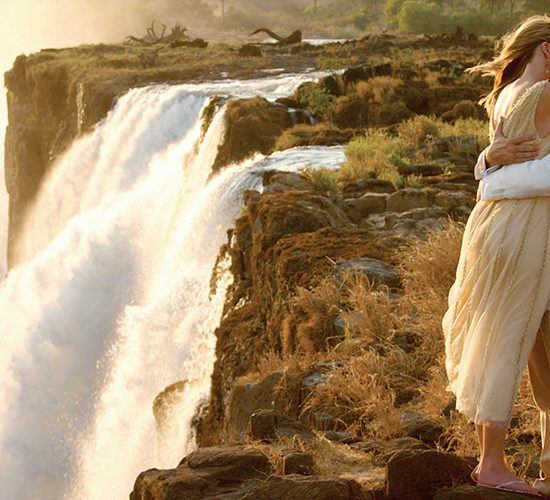 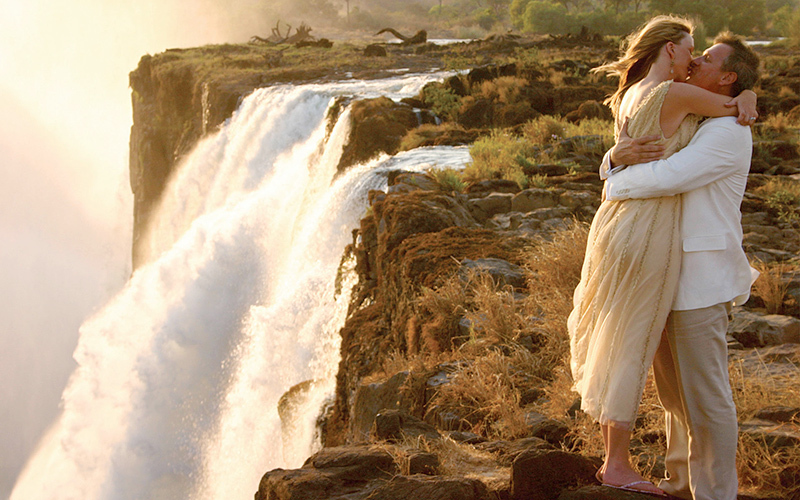 Victoria Falls is one of the world’s natural wonders & among the most spectacular sights in all Africa. 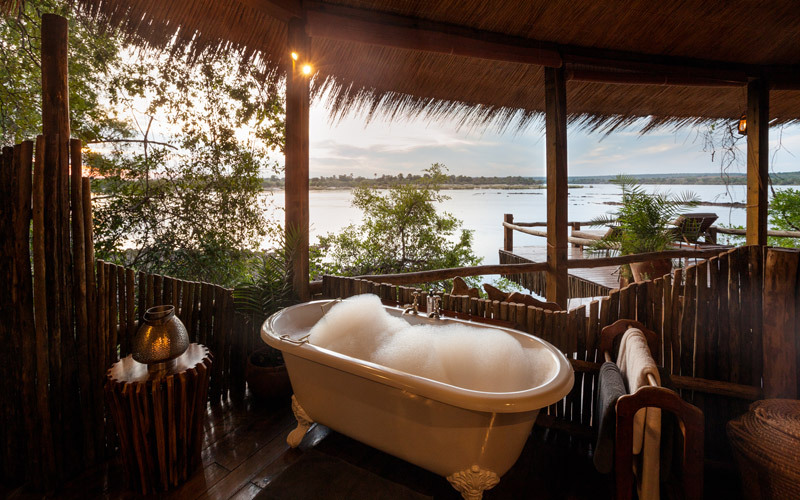 The best place to witness this immense mass of water is Livingstone Island, the place where Dr David Livingstone first glimpsed Mosi-oa-Tunya (The Smoke That Thunders). 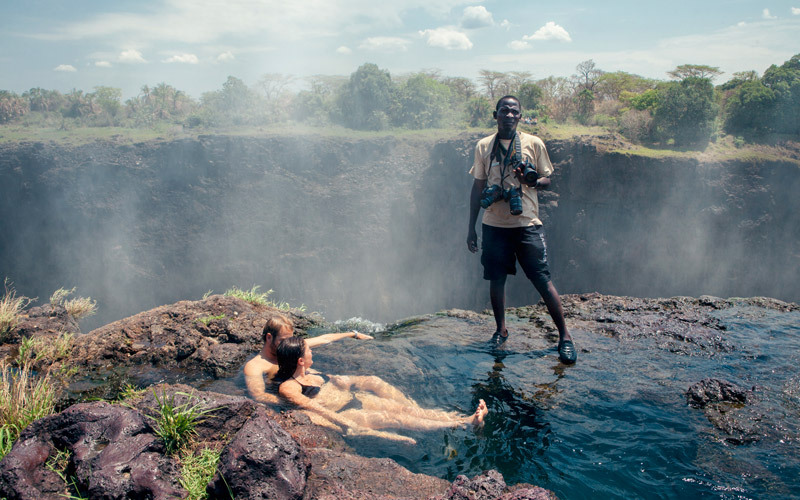 No visit to the area would be complete without this exhilarating experience. 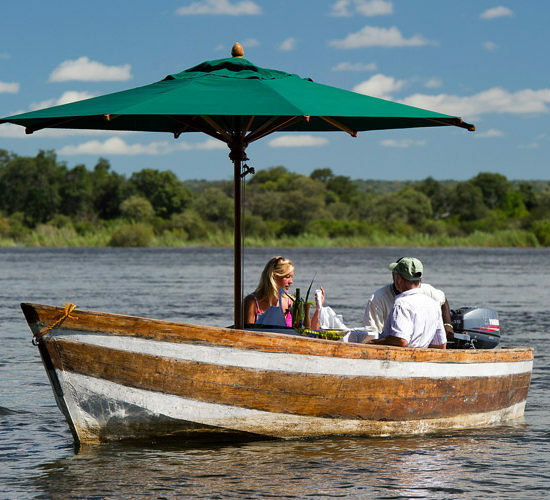 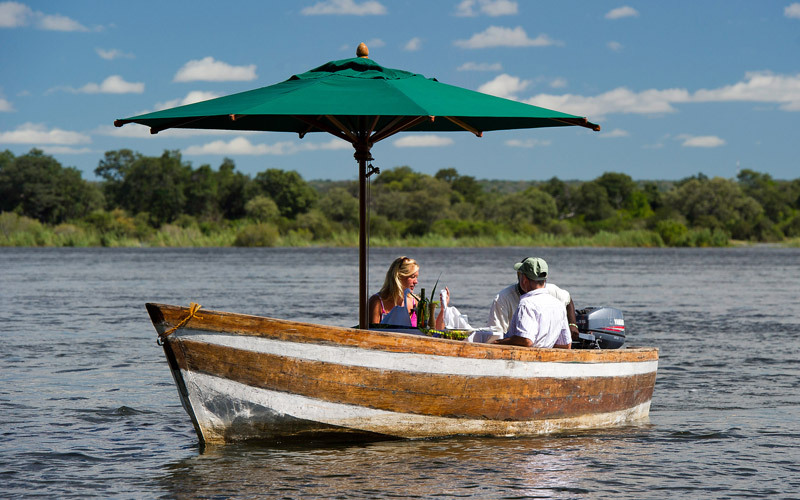 A whole host of activities are included in your stay at Tongabezi; Visits to the mighty Victoria Falls; canoeing on the Zambezi River; sunset & sunrise boat trips; island lunches; local village visit; romantic Sanpan dinners; museum & market visits; bushwalks & fishing are on the extensive list of things to do.